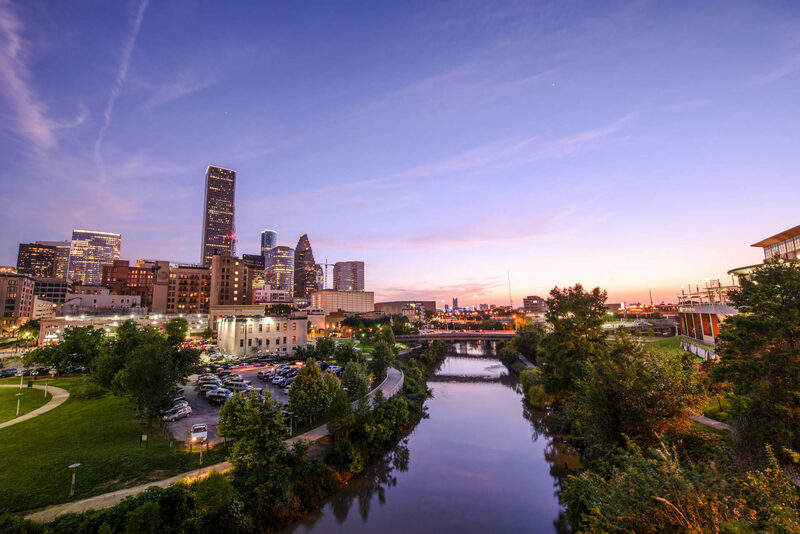 A sea of green surrounds people living in even the most urban environments, and yet almost nobody can see truly the plants. We see the trees, manicured hedges, or notice when our neighbor has taken a little too long to mow the lawn, but that’s probably the extent for most of us. Plant blindness, the inability to see plants in ones environment or recognize them as living and vital parts of the biosphere, is real and it is a problem in our society. Animals always receive the lion’s share of attention when it comes to biology and ecology education, but animals could not exist without the plants they depend on in their ecosystems. Plants make up 57% of the endangered species in the United States; yet receive less than 4% of the funding dedicated to saving and studying endangered species. 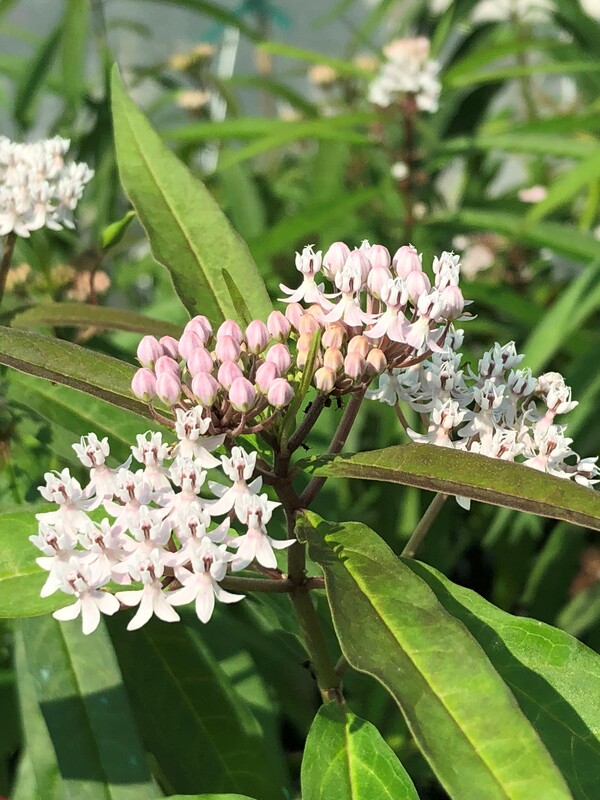 For the purposes of narrowing the focus of this blog (I could talk about plants and how amazing they are for days and barely scratch the surface) let’s explore one genus of plant: Asclepias, or milkweed. Carl Linnaeus, the famous 18th century naturalist and father of taxonomy, named the plant after Asclepius, the Greek god of healing. 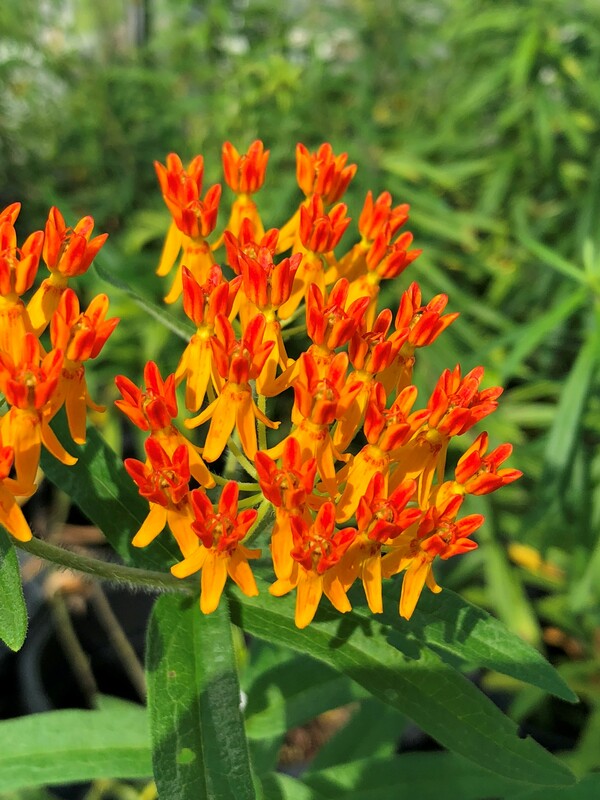 Most people have at least heard of this plant, even if they couldn’t pick it out of a lineup, and know of it’s importance as the host plant for the iconic Monarch butterflies, but there’s so much more to these plants. There are some 140 species of milkweed in the Americas with hundreds more very closely related species around the world. Each niche in an ecosystem has a milkweed that grows there, from the driest western desert to the coastal swamps of the southeast. Each could be considered a keystone species in their environment as they support a vast array of insects. A keystone species is a species of plant or an animal on which many other species rely, and without it the ecosystem would be drastically different or impacted. Think the bison of the Great Plains or the wolves of Yellowstone, but on a smaller (technically) scale. A single milkweed plant supports so much life it’s astounding! Their gorgeous and morphologically complex flowers are filled with nectar for pollinators. 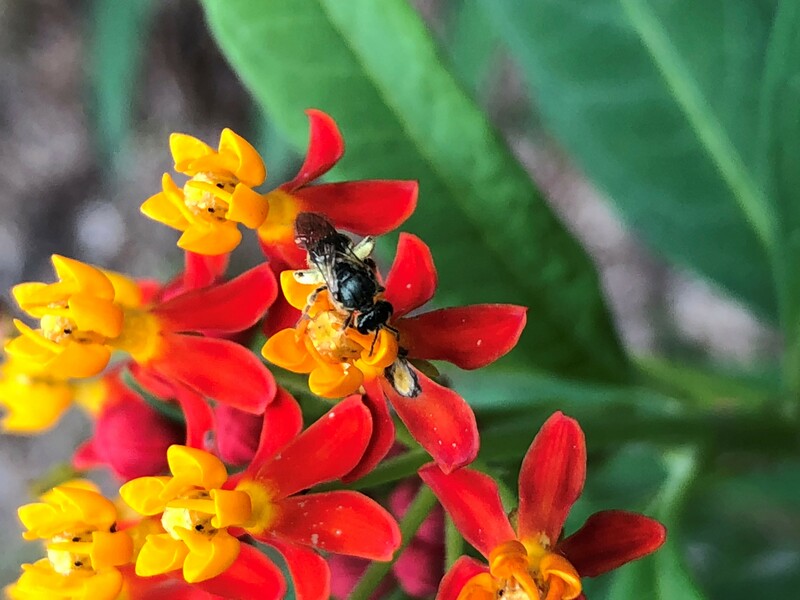 They are especially popular with bumblebees, carpenter bees, and tiny sweat bees (some of the tiniest and cutest of our native bees). A bright yellow aphid species, Aphis nerii, often colonize milkweed plants. This is always a concern to new gardeners and I’m often asked what to do about this, but nature has its own way of controlling this, and not just from ladybugs. 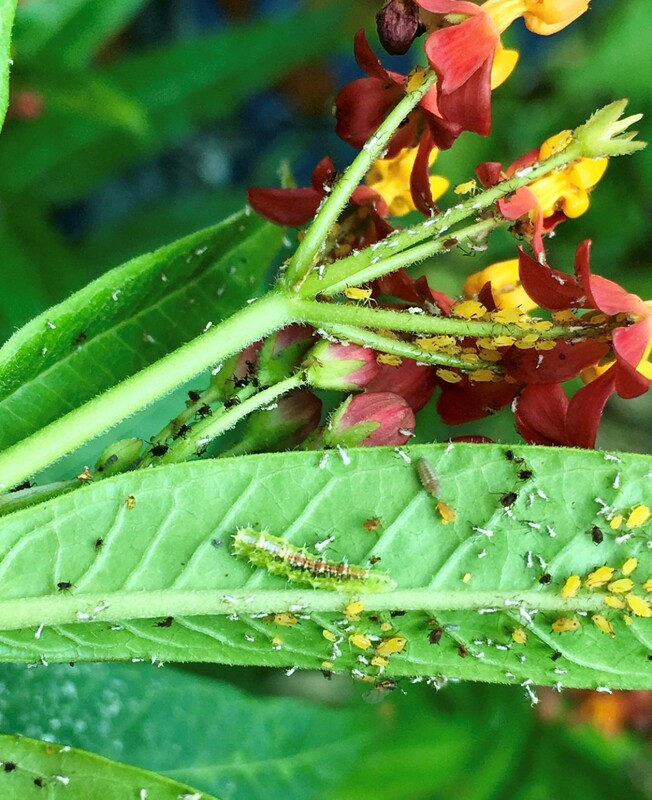 In a pesticide free garden a milkweed plant suffering from aphids will quickly be invaded by a slew of predators ready to deal with them for you. Syrphid flies are a fascinating family of flies, many of them awesome pollinators themselves. They are attracted to plants with aphids to lay their eggs, as their larvae are efficient aphid predators. Parasitoid wasps are another aphid killer. These are tiny, almost microscopic wasps that inject their eggs into the bodies of the aphids. You’ll probably never see one, but if you look closely you’ll be able to tell they’re there. The larvae hatch and live inside the aphid eating them from the inside out. Aphids that have been infected will turn black, and when the wasp bursts out of the aphid’s body it leaves a mummified husk behind. 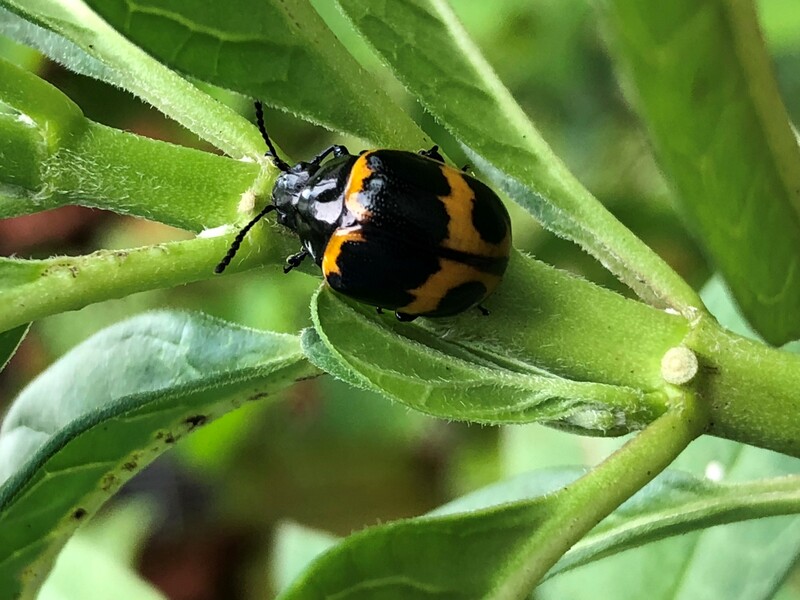 The Swamp Milkweed Beetle, Labidomera clivicollis, could easily be confused for a ladybug on steroids, but it is a leaf-chewing beetle. It feeds exclusively on milkweed in both its larval and adult stage. Much like the Monarch caterpillars, it will even chew the main vein of a leaf to cut off the flow of the sticky latex sap making the leaf easier to eat. 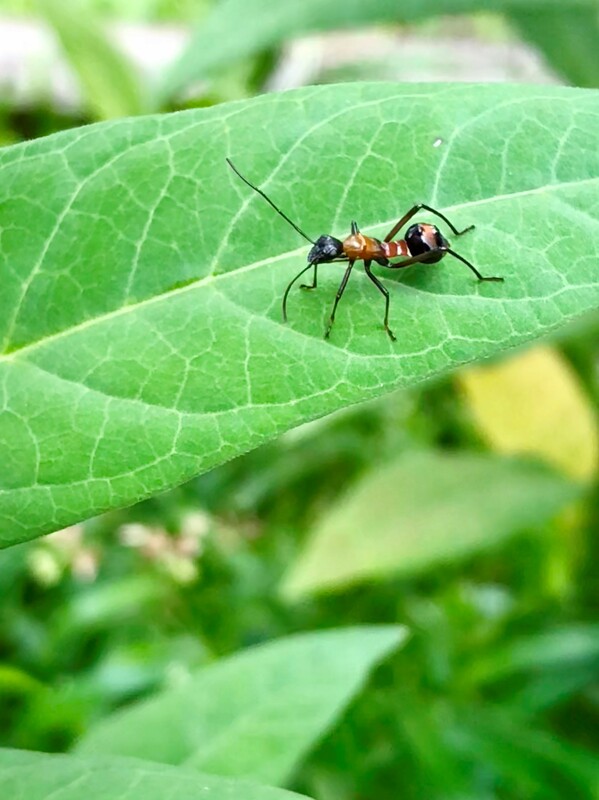 An ant-mimic assassin bug mimics ants as a deterrent to potential predators and to fool ants into letting them get close enough to kill and eat them. 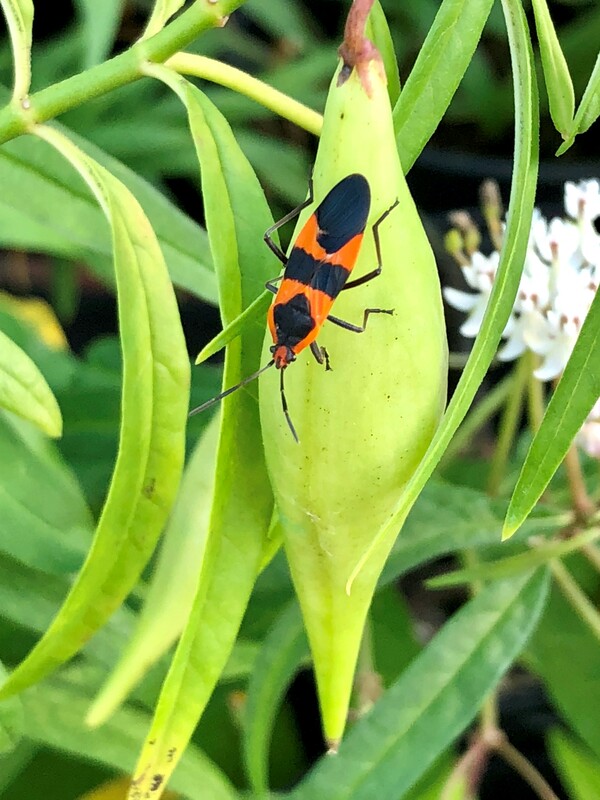 A Milkweed bug, Onocopeltus fasciatus, feeds on the developing seeds within the seedpod. 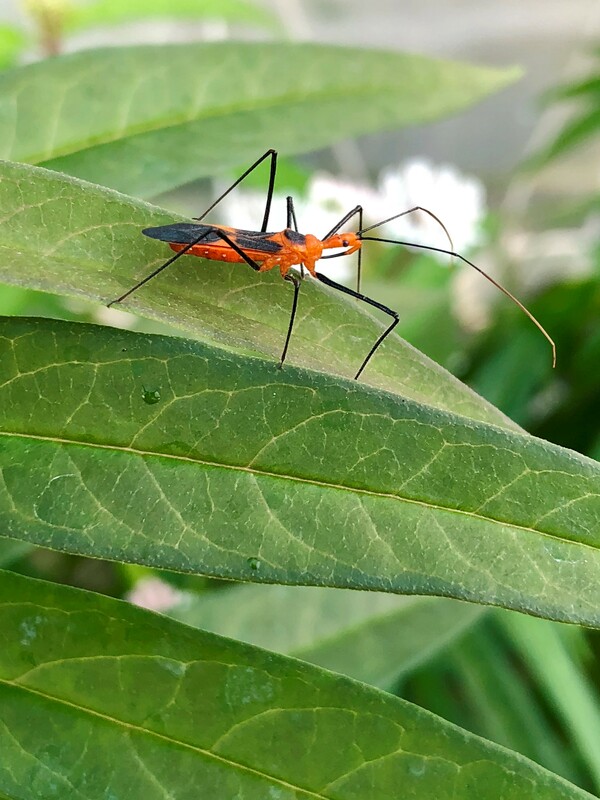 A Milkweed Assassin Bug, Zelus longipes, patrols milkweed plants for prey. This and the above Milkweed Bug are a prime example of Müllerian mimicry, where in two equally noxious animals evolve to look similar to each other. And then of course there are the Monarch butterflies, Danaus plexippus, that we all know and love. 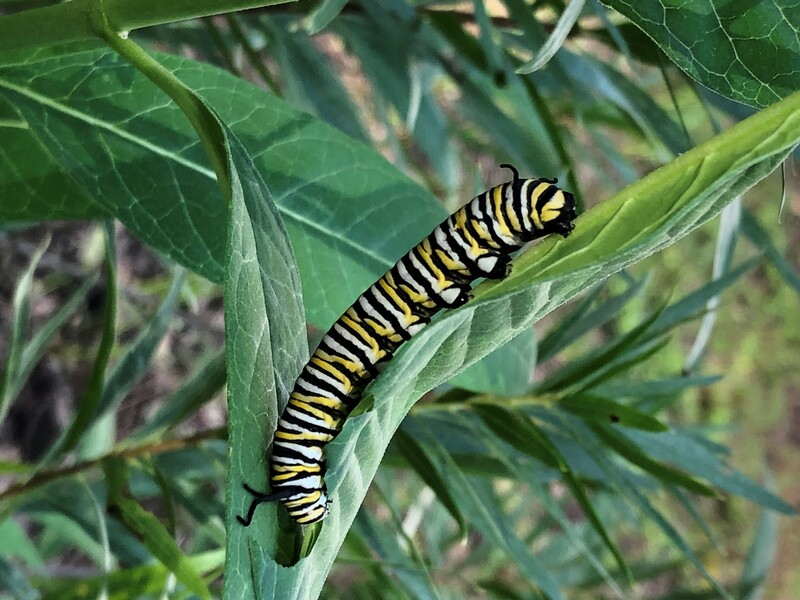 They are solely dependent on milkweeds as their host plant. But they aren’t the only Lepidoptera that host on milkweeds. The Monarchs close cousin the Queen Butterfly, Danaus gilippus, and the Milkweed Tussock Moth, Euchaetes egle, also use milkweeds as their host plant. You may have noticed that most of these insects display similar color warnings. The bright oranges, yellows, and blacks are signals to would be predators that these insects are noxious and not a tasty snack. This is called aposematic coloration. They get their toxicity from their ability to sequester toxic cardiac glycosides from the milkweed plant into their bodies. This is only a small example of how one plant is vital to the animals that live. Now apply that to every plant we see, and then multiply that by all the thousands of species of plants in the world. Each one is important. Even if you’re not an outdoorsy person, or even into plants or bugs that much, next time you’re outside I invite you to slow down and look at a plant. Any plant! Really look at it and examine all the life happening in and around it. It might change your life.